My break from blogging was quite refreshing, and I’m glad to say I’m back with a vengeance, ready to fill your summer days with all the garden photos and random nonsense I can offer. I recently took a day trip to Shoals, Indiana, to do some hiking and to be mercilessly attacked by the ravenous insect population. When I wasn’t pulling ticks out of my clothing, I was concentrating on getting some shots of the interesting flora and fauna that thrives in the humid Hoosier backwoods. 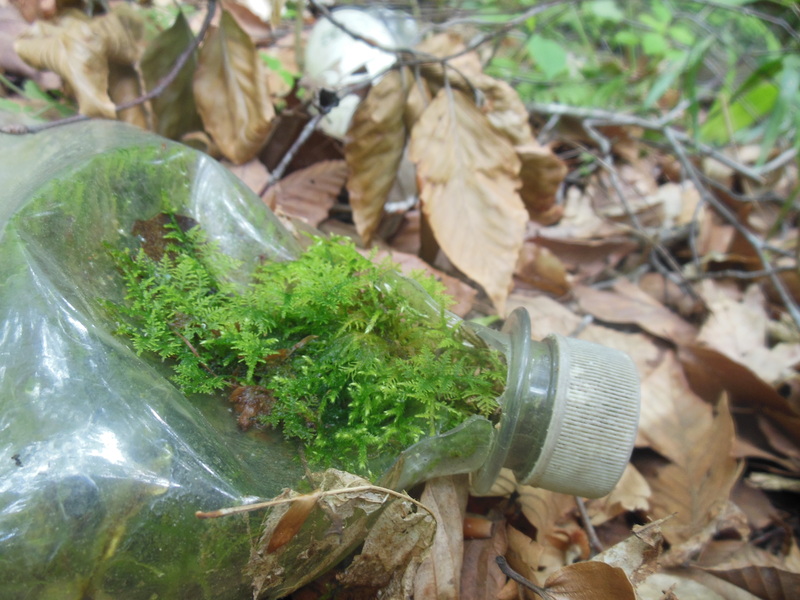 One of my favorite discoveries was this old bottle of water that had seemingly burst from the inside out, teeming with life. If you ever wanted spring in a bottle to save for those cold and dark winter evenings, this is probably the closest you will get.